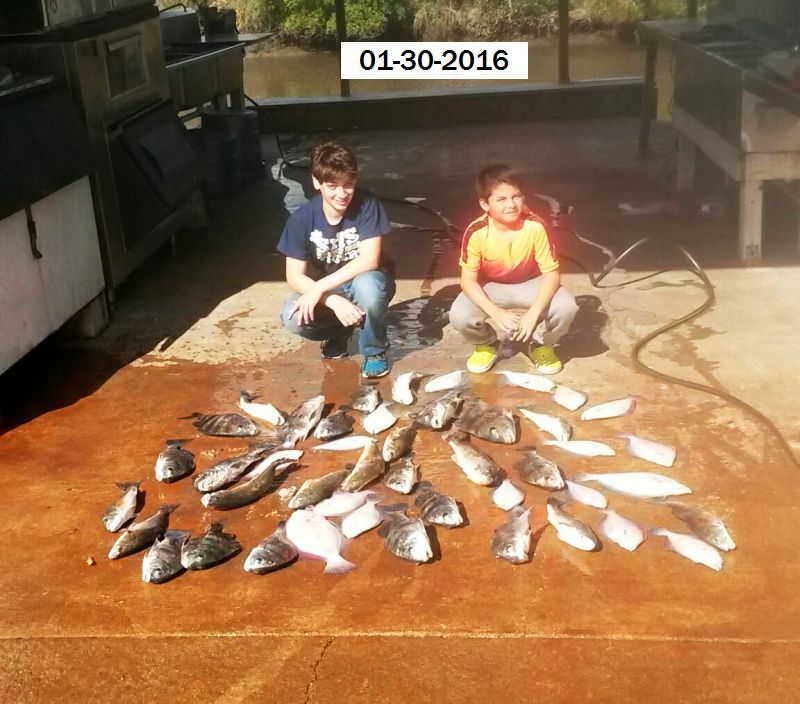 January 30, 2016 Edward & Sons, Juan & Bo, Have a Great Family Outing on Lake Calcasieu!!! 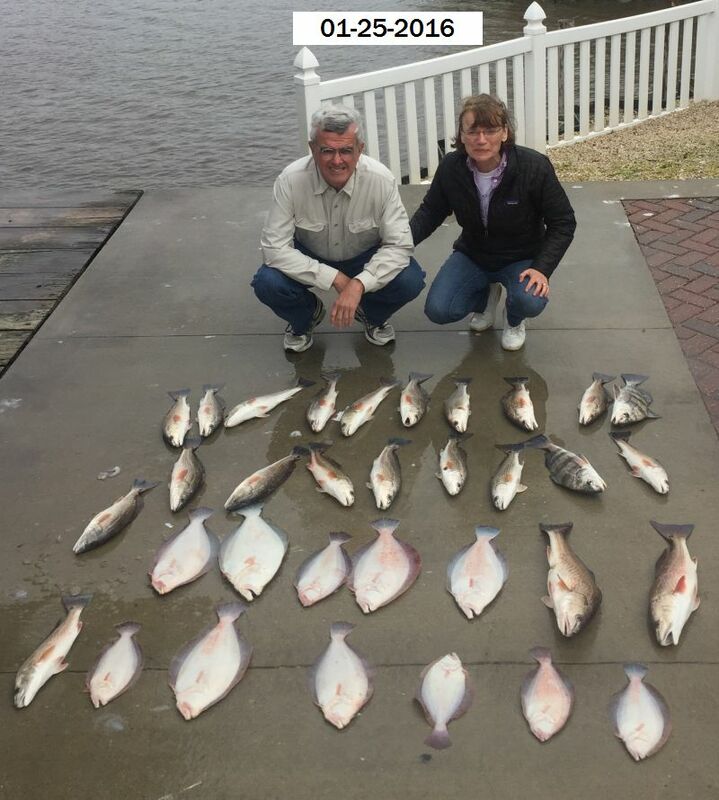 January 29, 2016 Robyne G. & Fishing Friends: J.R. & Bruce, Limited on Flounder and Reds Today!!! 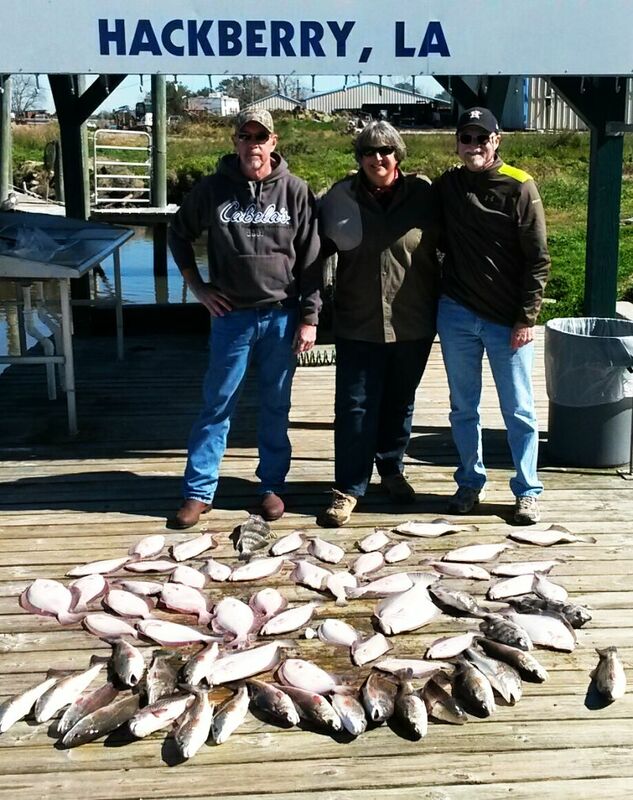 January 25, 2016 Randy & Mary W. Hit the Jackpot of Full Moon and Pre Frontal Conditions and Catch a Nice Limit of Reds By 8 AM and spend the next 4 Hours Catching and Releasing over a 100 More Reds & Flounder!!! Get The Bengay!!! 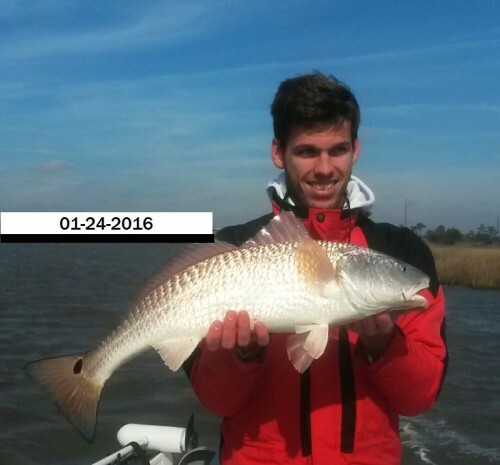 January 24, 2016 Bite Me Fishing Club Does an Early Spring Trip and Fights Cold North Winds and Low Tides to Catch a Nice Mess!! Happy New Year!!! 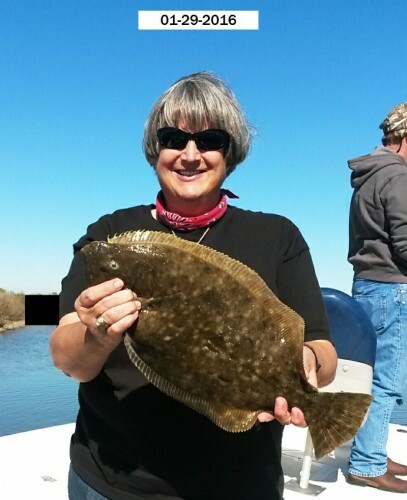 January 21, 2016 The Flounder are Starting To Return !!! Happy New Year!!! January 21, 2016 The Flounder are Starting To Return !!! 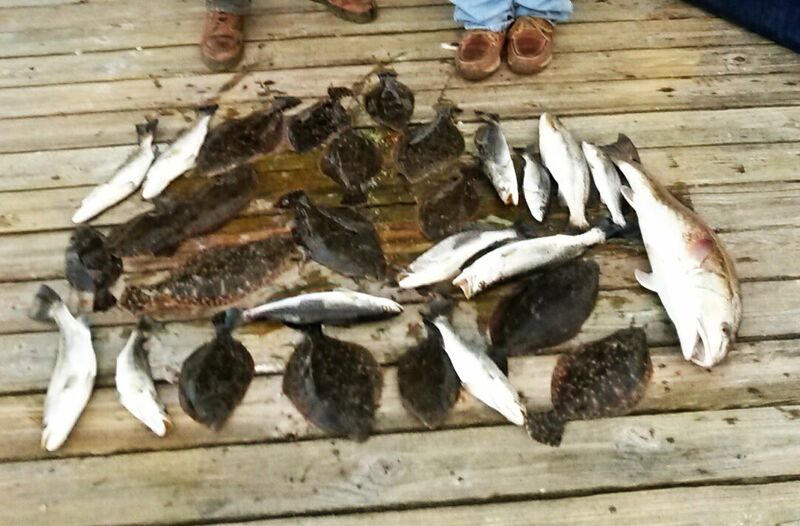 Yesterday Tommy and I did a little scouting and Caught some Nice Flounder! The are heading back in from the Gulf and any breaks in the weather should be a good time to Catch a Mess of Hackberry Halibut! 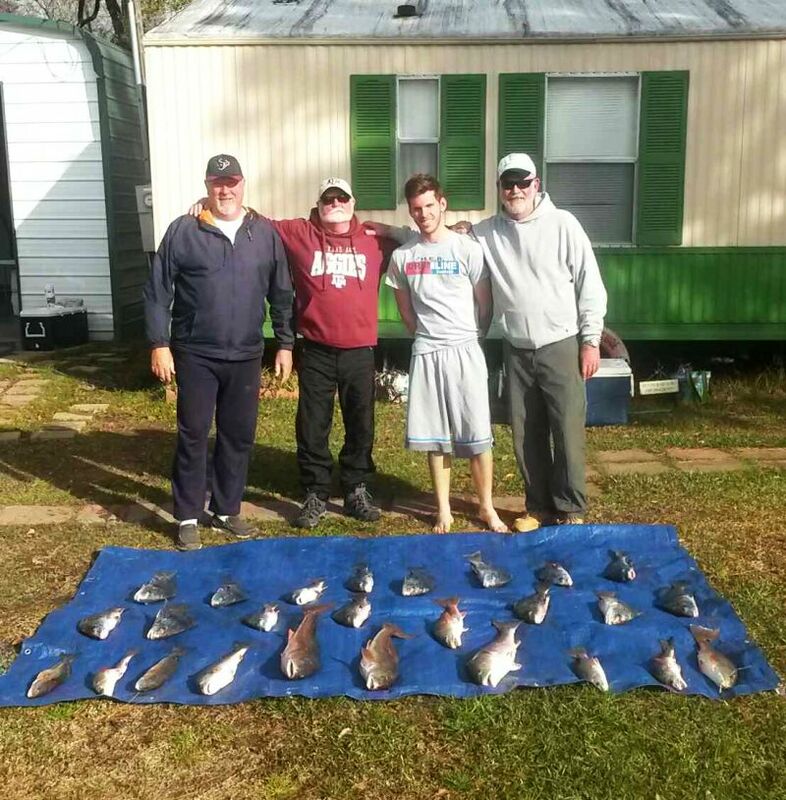 Caught some nice Trout too and they were still chasing some Shrimp! I have some openings if the weather will cooperate I believe we are going to have an early Spring!! !